When it comes to buying a home, things can get expensive, and buyer closing costs are no exception. We take a look at the best ways to lower closing costs and whether no closing cost mortgage loans are worthwhile. Your biggest hurdle may be your down payment when purchasing a home, but it’s important to remember the closing costs. Often disregarded, closing costs can be an unwelcome surprise when finalizing your home purchase—and more than likely they won’t come cheap. When buying a new home or refinancing your current home, it is critically important that you’re aware of all the costs involved in your home loan, or it’s going to cost you. Closing costs are the miscellaneous fees charged by those involved with a home sale. You can expect to pay anywhere from 2 to 4 percent of the total sale price in closing costs, depending on your unique situation. Mortgage loan closing costs can be excessive, but if you’re prudent, you can save thousands when it comes to finalizing your loan. Unfortunately, many new homebuyers just accept the exorbitant list of closing costs fees as an inevitability of the process. The experience can be a bewildering one for these individuals. They don’t want to risk their American dream on a few unsubstantiated costs. But, it doesn’t have to be this way; understanding the process can help you save. Closing costs are separated into two categories: non-recurring closing costs and recurring costs. Below is an assortment of both the non-recurring and the recurring closing costs you may be expected to pay. When you begin the loan process, it will go something like this. Along with yourloan rate and information, your lender gives you a list of expected fees, called a good faith estimate (GFE). Required by the Real Estate Settlement Procedures Act (RESPA), the good faith estimate must be provided to you, the borrower, within three days of taking your loan application. The intent of the good faith estimate is to give you a closing cost estimate. The problem with any GFE is that the lender isn’t required by law to stick by the fees stated within the GFE. 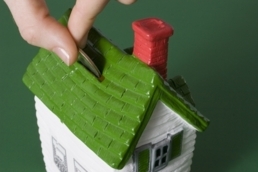 This allows some of the more unscrupulous lenders to add new fees before closing. Make sure that any fee changes or unexpected surprises are explained and justified by your lender. When reviewing the GFE, you can find the fees structured in the following range of numbers: 800’s, 900’s, 1000’s, 1100’s, 1200’s and 1300’s. A good tip is to take a look at the 800 section. This is where most of the negotiable fees are located. These include (but aren’t limited to) application fee, commitment fee, document preparation, underwriting, and processing. This is where you should focus your negotiation efforts. Some of the items in the 800 section are third party fees, and though they may not be negotiable, they should be passed on to the borrower without markup. It also pays to proceed with caution when it comes to brokers touting no closing cost loans. Theoretically, there is no such thing as a no closing cost mortgage. As altruistic as many lenders may be, they still need to make a profit. So, make no mistake, the borrower foots the bill, one way or another, by either paying now or in the future, through higher rates. A no closing cost loan may help you avoid the non-recurring closing costs, but they’ll do so at a cost, the cost being a higher interest rate. And while there may not be any lender fees, you’ll still have to pay for the title search, title insurance, home appraisal, credit check and other possible charges. One solution, to avoid closing costs that has become popular recently, is to have the home seller pay your closing costs. As an incentive, the seller may include all closing costs in the purchase price, depending on negotiations. Though, in some circumstances, the lender may not allow or limit seller closing cost credits. This is due to lender qualification standards. Regardless, this isn’t technically closing cost elimination, as you’d really be paying more for the property than if you had paid your own closing costs. When selecting a home loan, it pays to look at all the variables involved. Lenders offering no point or no closing cost home loans often make their money via a higher interest rate. Adversely, the lenders that offer lower interest rates often make up the difference by charging higher closing costs, or via more points. Taking a closer look at the interest rate, fees, and points as a whole will give you the big picture, and most likely save you considerably. The following closing cost table gives a break down of where the U.S. average closing cost charges come from and whether they’re negotiable. Based on a $200,000 loan amount. U.S. average* total closing costs. Some fees are omitted from the total, as not all lenders charge for each and every item. of the amount of the loan. Typically, the more points paid up front, the lower the interest rate on the loan. Application fee $250 It is not at all uncommon for lenders to charge an application fee. Negotiable. Commitment fee $371 Banks term for underwriting fee. Fee charged to have your loan reviewed by an underwriter. Also known as a "junk" fee. Negotiable. Document preparation $291 Covers the preparation of final legal documents, essentially a way to extract more money from the borrower and put a label on it. Negotiable. associated with processing your loan. underwriter. Also known as a "junk" fee. Flood certification $14 Service that tells the lender whether the property is in a flood area or not. This could trigger the need for flood insurance. Postage / courier $35 Fees associated with the delivery of documents. Survey $144 Not all lenders require a survey. what the title work turns up. no unpaid mortgages, defective title or tax liens. Previous articleWhat is a Good Faith Estimate (GFE) When Buying a House?